"Donnamarie is an awesome buyer’s agent; we worked with Donna over the course of 6 months, Donnamarie patiently showed us the houses we were interested in and then worked quickly when we wanted to make an offer. The first couple of deals did quite work out for one reason or another (home inspection issues, seller agreeing to price and terms) but we did finally find the right home and made it to settlement. Donnamarie helped us mange through that multiple offer situation and we won the deal. Donnamarie worked on our behalf when it came to dealing with the seller’s agent and any issues that popped up along the way. She also worked collaboratively with us, our lender, home inspector, and settlement attorney for a very smooth transition. Donnamarie was able to effectively balance it all. We highly recommend Donnamarie and the Weichert Realtors McKenna & Vane team." "Donnamarie is an awesome buyer’s agent; we worked with Donna over the course of 6 months, Donnamarie patiently showed us the houses we were interested in and then worked quickly when we wanted to make an offer. The first couple of deals didn't quite work out for one reason or another (home inspection issues, seller agreeing to price and terms) but we did finally find the right home and made it to settlement. Donnamarie helped us mange through that multiple offer situation and we won the deal. Donnamarie worked on our behalf when it came to dealing with the seller’s agent and any issues that popped up along the way. She also worked collaboratively with us, our lender, home inspector, and settlement attorney for a very smooth transition. Donnamarie was able to effectively balance it all. We highly recommend Donnamarie and the Weichert Realtors McKenna & Vane team." "When we decided to sell our home, we interviewed several realtors. Donnamarie Needle's presentation was by far the most highly detailed and comprehensive plan we had seen. As soon as we signed the listing agreement she went right work. She got our home sold in 8 days at our full asking price! The whole process from listing agreement to contact closing was easy for us thanks to Donnamarie. She made sure that everything we needed to do as sellers and everything the buyers needed to do we completed in the proper sequence and in a timely manner to ensure a smooth closing. I HIGHLY recommend Donnamarie Needle. She is an exemplary real estate agent"
Sold our home in less than 24 hours! "Pam was excellent in all that she did for us with selling and buying. she gave very good suggestions in ways to stage our for sale home and helped us find the perfect home to buy. Her expertise allowed us to sell our home in less than 24 hours. After we found and bought our perfect home she continued to keep in contact with us to make sure things were going smoothly. She remains a friend that we are sure to have forever." 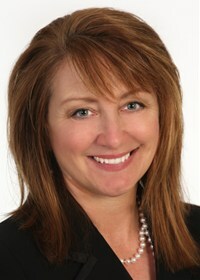 "Tricia was the perfect fit agent to help me sell my home. She's very knowledgeable was flexible to meet my needs and easy to work with from start to finish. Her hard work (even while on vacation) resulted in multiple offers within one week of listing and only days after the open house. She stepped me through the whole process and was very customer focused working through some last minute items before closing. I'd definitely recommend using Tricia if you want to sell your house quickly and I'm sure she's just as great on the buyer end." "Second time I had worked with her..."
As you know Linda recently sold my home in Sykesville. It was a pleasure to work with her. She provided excellent advice about the upgrades needed for the home, always available to answer any questions and supportive and encouraging when the selling process seemed to stall ( even though it was sold in about 3 weeks in a slow time of the real estate year). While selling my home she also assisted me greatly in the building of a smaller home. Issues that arose were addressed professionally and thoroughly. This was the second time I had worked with her as a few years ago she assisted my son to buy a home while he was deployed. I would recommend her fully and appreciate all she did to assist me. "Pam helped us buy a home in Frederick in November 2018. What we really noticed was that she was funny and personable, but also had a huge amount of knowledge that we had not encountered with any other agents we’ve worked with in the past. She had advice about everything that we needed. Her recommendation for an Inspector that she works with was also PERFECT. He did a great job as well. It was not an easy sale for a number of reasons but Pam was essential in the process we could not have done it without her! Thank you Pam!!!! :)"
Michael did a fantastic job listing and selling my property at 3321 Stanford Street and went above and beyond throughout the process. I was a remote seller living across the country during the sale of this home and Michael was my main point of contact on the east coast for any and all activities needed throughout the process. He was able to support the cleanup of the home after tenants who were living in the home moved out, arrange for all necessary contractors to come in and do their work and show the home and close with the right buyers. He was even able to provide support while on a personal vacation! In addition to selling this property he was also the one to help me purchase it originally. He made that process seamless and made sure to keep in touch periodically when I was the homeowner - he even made some excellent recommendations for contractors when I needed work done. Overall I highly recommend Michael McKenna and his team for anyone looking to buy or sell a home and would work with him again in a heartbeat. I cannot recommend him enough and you will not regret your decision to go with him and his team! Thanks for requesting “BUSTED! 5 Myths About Selling Your Home!” Be on the look out for an email from us with the downloadable PDF.